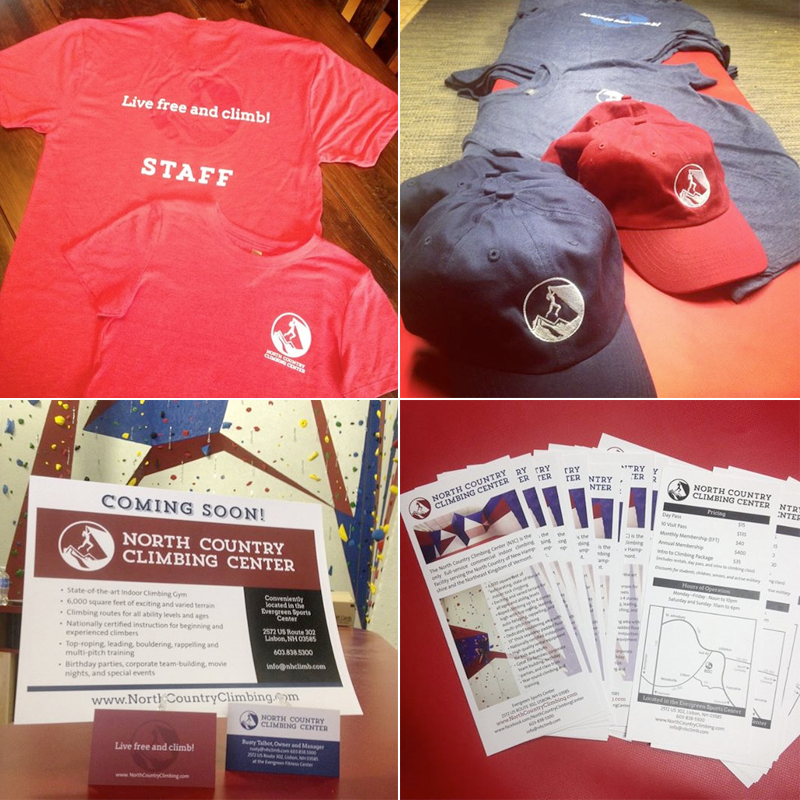 Since finalizing the NCCC logo, I’ve been shooting things over to Rusty as he needs them… digital files for t-shirts, hats, the outdoor sign, fliers, and more. It’s been more than gratifying to see him post the physical results via his Instagram and Facebook pages. Given the logo’s humble beginnings and the challenges I had with the figure of the climber, I’m really pleased with how the final logo and related “good stuff” turned out. 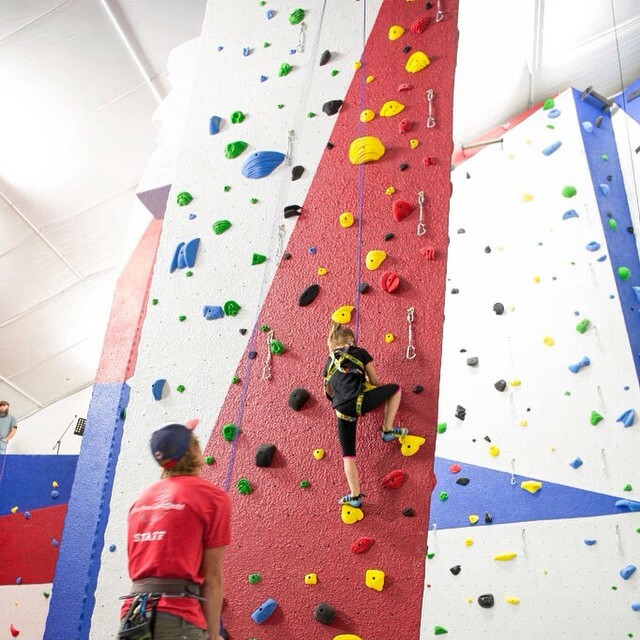 Just to give you a sense of the gym itself: The climbing walls are painted red, white, and blue, and colorful grips give the entire place a fun, vibrant feeling. The outdoor sign got a font change so that the words were larger and made better use of the sign area. Finally, I put together a simple one-page responsive web page to use until Rusty was ready to figure out what to do for a web site. 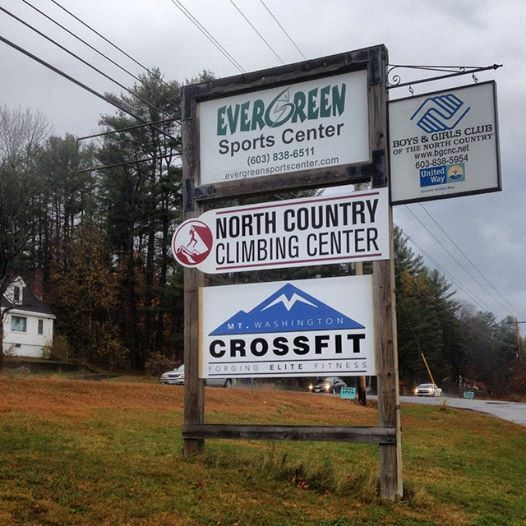 If you’re in New Hampshire, be sure to stop by and check them out. 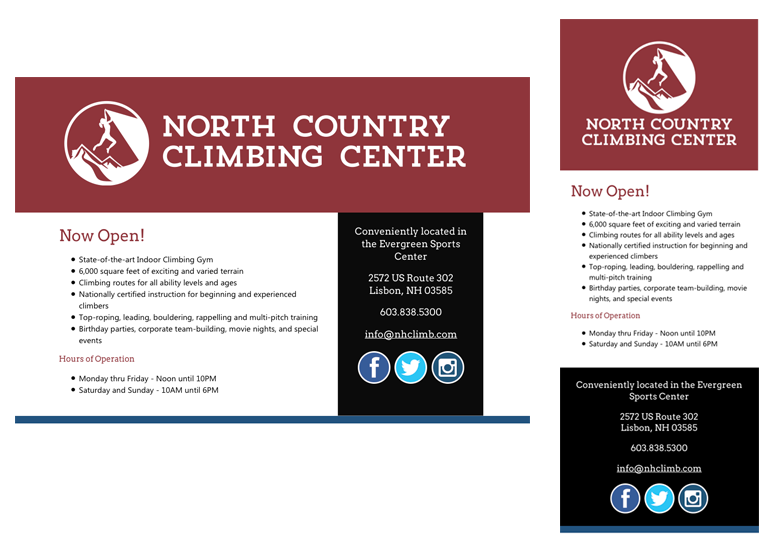 Congratulations to Rusty and the rest of the crew at North Country Climbing center!